Can you take golf clubs on a plane? Yes, you can. But you can’t just walk into the airport with your carry bag slung over your shoulders like you are walking up to the first tee at your local club. And you need to know the rules. Here are a few things you need to consider to travel with your golf bag and some steps you need to take to make it as easy as possible and ensure that your clubs get there in one piece ready for the first tee. The most important thing you should be worrying about it keeping your clubs safe during travel. Never assume that the baggage handlers will give any extra care to your golf bag. If anything they might be irritated that it’s heavy! This should be the first step you take if you want to protect your clubs when you travel. A golf travel bag is basically a sturdy luggage material bag that is designed to fit and protect golf clubs. The benefit of a dedicated golf travel bag is that you can fit your regular golf bag right inside it. There are a few things you want to look for in a bag. First, make sure it is sturdy. Don’t automatically go with the hard shell travel bags. Some are great but you can get really sturdy travel bags that don’t have a hard shell and weigh less. Since this isn’t a travel bag review, we’ll leave it at that. If you are looking for a recommendation though, you can’t go wrong with the Club Glove Last Bag Large Pro. It had some of the best ratings on Amazon, it’s not more bulky than it needs to be to protect your clubs, and it comes in a lot of different colors, which is useful for identifying your bag on the luggage carousel. You can check out all the features, specs, and prices by click here to view it on Amazon. Second, make sure it fits your golf bag. If you use a big leather staff bag then I would highly recommend either buying or borrowing a carry bag. The weight you save will be huge and you’ll be very happy you made the switch when you have you go up some steps and can’t roll the bag anymore. Lastly, I would make sure you have one with good wheels. Most of them do have wheels, but take some time to inspect them and make sure they seem durable. A broken wheel can really be a drag. (and yep…I said it like that on purpose). An essential accessory to the travel bag is a device that consists of a metal pole and a hard piece of plastic that resembles a small umbrella. I don’t think it has an official name but if you search for “golf travel bag pole thing” sure enough…there it is. The one that I use when I travel with my bag is the Intech Crossbar Golf Travel Bag Support Rod. It is quite sturdy and I haven’t snapped any driver heads yet. Whether you get a dedicated travel case or roll the dice and try to use only your regular bag, you need to do some things before you head off to the airport. First, empty your entire bag…look through every pouch and every pocket…take out every golf ball and every tee. This is especially important if you never carry your bag when you play because you may have no idea how heavy it actually is or how much useless stuff you’ve stuffed in there. What do you actually NEED for this trip? You may think it’s prudent to have 4 dozen golf balls in your bag. After all, you never know when you’ll have a Tin Cup moment and attempt that hero shot over water again and again. But realistically, you shouldn’t be carrying that many golf balls on your trip. If you really need that many when you play, buy them at your destination…and proceed to lose most of them before the return flight. Weigh your bag when you have it ready for travel. Check the requirements for your specific airline. Sorry but you can’t carry on golf clubs according to the TSA. I called the TSA and confirmed that no carry on golf clubs are permitted. NOTE: When doing some research for this topic, I found at least one article that said you can carry on up to two golf clubs. Maybe this is the old rule, but you can clearly see from the link above that golf clubs are prohibited from carry on luggage. So don’t try it based on old articles on the web. If you travel often within the United States, I highly suggest registering for TSA Precheck so that you can bypass the lines and delays at the security gates. There is also a similar option for international travelers called Global Entry. It’s not recognized by all countries, but it may be helpful depending on your destination. A great alternative to checking your golf clubs with the rest of your baggage on the plane is shipping them. Unlike baggage handlers, shipping companies do have a vested interest in getting your stuff to the destination undamaged. Mainly because that is their only job, whereas airlines are more concerned with moving people. 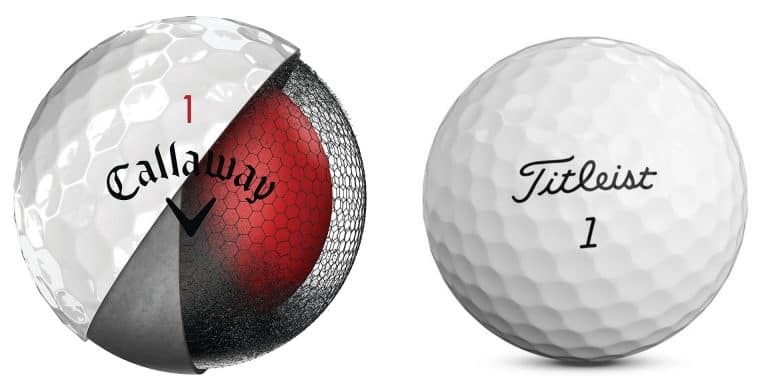 You can use regular shipping companies like FedEX, but there are also relatively new companies popping up that focus solely on shipping golf clubs or other sporting equipment. 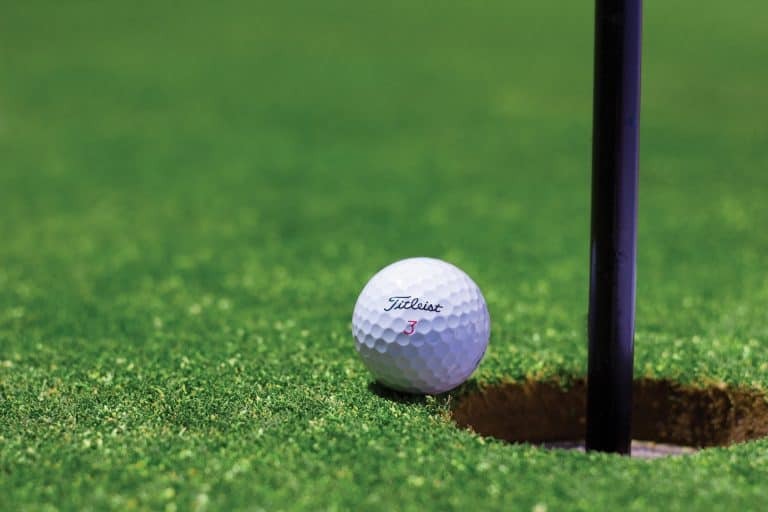 You may pay a premium for these services over regular shipping companies, but they focus mostly, or sometimes only, on sporting goods, so they probably know how to handle golf clubs as well as anyone. Most resort golf courses and hotels are used to their customers using services such as this and will make it quite easy to have your clubs waiting there for you when you arrive. If all else fails, you can always rent clubs. But really only do this if all else fails. Rental clubs fall into one of two categories. They are either old beat up clubs that have been sitting in the course’s lost and found for 10 years OR they are off the rack promo models that a manufacturer sent to the course and have a 99% chance of being a completely improper fit for you. If you are playing a new and challenging course for the first time, the last thing you need is clubs that are working against you. So there you have it, the basics of traveling with your clubs. If I left out any important points, please let me know in a comment below and I’d love to add them to this golf club travel guide.